Backed by rich industry practices, we are extremely engaged in providing an optimum quality series of Laser Cut Woven Labels. Machine laser cut to ensure best quality and fast production. Get your label laser cut in any shape or any size. 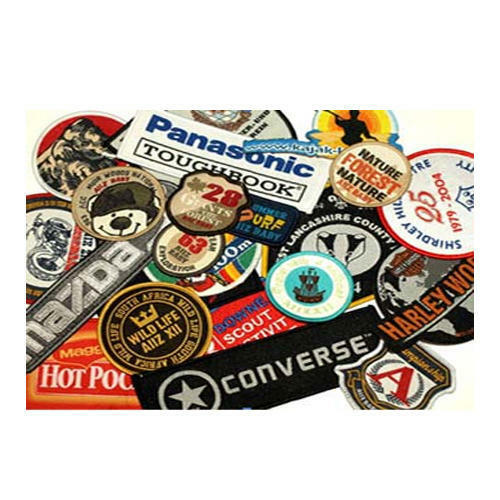 Established in 1990, We, Savitri Labels are a leading manufacturer, exporter and supplier of a quality approved collection of Woven Labels, Printed Labels, Printed Stickers, Heat Transfer Stickers, Hanging Tags, Metal Tags etc. Demanded highly for various fields for water packaging purpose, these products have been manufactured with utmost precision and accuracy. These products are highly required for their longer service life, sturdy construction and hassle free usage. Apart from this, we are providing these products at leading market price. We are also the service provider of Brochures Printing Services and Flyers Printing Services.